Welcome Awaken Youth Ministry of the First United Methodist Church of Auburndale, Florida! We are located right between two of the largest schools in Auburndale, Stambaugh Middle and Auburndale Senior. We work with youth from 6th through 12th grade and offer a blend of biblical teaching, loving relationships, and just plain good fun. We invite you to come join us and hey, while you're thinking about it, bring a friend!! Points of Interest For You! Small Group for Middle School Girls will be from 4-6 on Tuesday afternoons. We will be reading through the Book of Psalm. Youth will now be from 2-6PM. High School guys and girls will have small group from 5-6PM. Dinner will be provided. We will be offering a Confirmation Class starting in January for any students who are interested in being confirmed. Class would be from 4-6PM on Thursdays. We offer Sunday School for any students interested on Sunday mornings from 9:30-10:15AM. During this time we prepare for how Youth are assisting in the Church service. On Sunday evenings we offer Bible Study from 4:30-7PM. We are reading our way through the Bible. Come and dive deeper into the Bible. Dinner will be provided. On January 25-27th, there is an opportunity for High School Juniors and Seniors to go to Warren Willis Camp for College Connection. This is a retreat for students to learn about the different Campus ministries offered at Colleges around the state of Florida. If your student is interested or would like more information please contact me ASAP. The theme for this years Winter retreat is Mosaic. Just like each broken piece of glass or clay is put together perfectly and intentionally to craft a beautiful, complete image in a mosaic, so are we as people cared for by God. No two pieces in a mosaic are the same, but the mosaic would be incomplete if even one fragment were missing from the masterpiece. Each piece has been broken at some point, but it did not remain in brokenness. Being picked up by the master artist and perfectly placed in the whole of the Mosaic, each piece now finds redemption, purpose, meaning, and community as they take their place in the whole work of art. 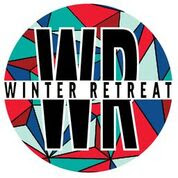 The Winter Retreat will be January 19th-21st, at The Word of Life Camp in Hudson, FL. On February 9th (Saturday), the Youth and Missions Team will be hosting a Valentines Variety Show Dinner. This will be a fundraiser for the Youth to earn points for their youth account. We will be serving a dinner, with entertainment from students in the youth group. This will be a fun night for all!